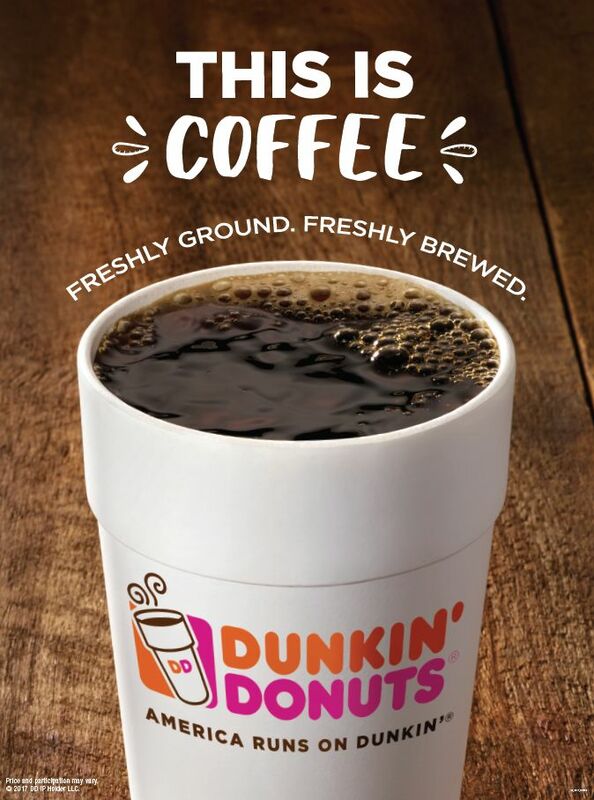 CANTON, MA (August 28, 2017) – Dunkin’ Donuts guests win the day with the freshly-ground, freshly-brewed coffee inside their cup, and now what’s on the cup could make them winners as well. 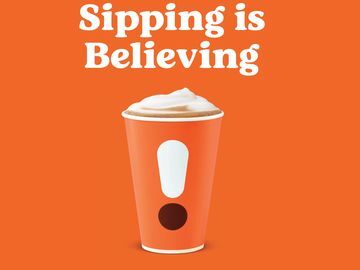 Dunkin’ Donuts launched “Sip. Peel. 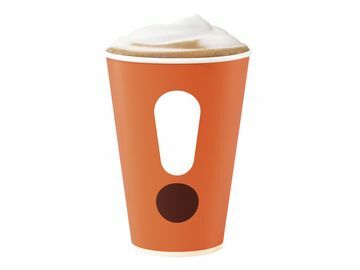 Win.” as the brand’s first-ever national on-cup peel and reveal promotion, offering a prize or special offers to every guest who purchases a large or extra large hot Coffee, Tea or Hot Chocolate (excluding Espresso) at participating locations*. Now through September 30 or while supplies last, specially marked large and extra large hot cups will be stickered with a game piece, giving guests the chance to win a year's worth of free coffee and other great prizes, such as Dunkin’ Donuts gift cards, free menu items, Fanatics® prizes and more. Non-winning game pieces have valuable coupons for Dunkin’ product or discounts at Fanatics.com. No purchase or payment necessary, legal U.S. residents, 13+. For information on how to receive a free game piece, see the Official Rules at www.sippeelwin.com. To celebrate the winning spirit of “Sip. Peel. 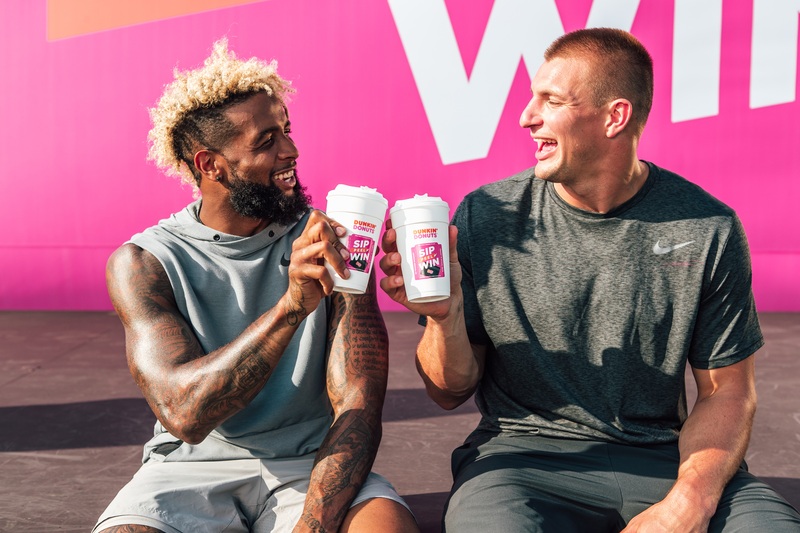 Win.” Dunkin’ Donuts brought together two of its favorite football players, Rob Gronkowski and Odell Beckham Jr., for original dance moves to help America win in style. 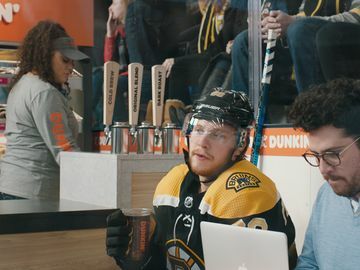 As part of special advertising and digital content for this promotion, Gronk and Odell have broken out their best celebratory dances fueled by Dunkin’ Donuts coffee to show what winning is all about. To check out some of Gronk’s and Odell’s winning moves, visit https://news.dunkindonuts.com/blog/sippeelwin. 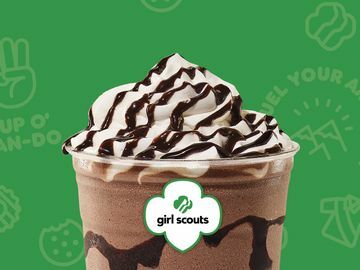 * U.S. locations, excluding airports, stadiums, universities, transportation centers, Speedway locations, and other locations unable to accept coupons.